I read this article and found it very interesting, thought it might be something for you. The article is called New Students and is located at https://www.sampsoncc.edu/general-admissions/new-students/. Sampson Community College strongly encourages you to complete the Free Application for Federal Student Aid (FAFSA) as early as possible in order to qualify for all forms of federal and state aid you are eligible for. Although we encourage students to complete this application as early as possible, please understand that ALL admissions requirements must be completed before financial aid can be awarded. An official transcript showing high school graduation or GED completion is required for all students seeking financial aid. Transcripts from other colleges or universities attended are required to verify prerequisite coursework and for transfer credit review. Opened or faxed transcripts are not official. High School Graduates: Applicants who have graduated from high school should submit an official transcript showing all course work completed and the date of graduation. High school seniors may submit an official partial transcript showing their current courses and the intended date of graduation. It is the student’s responsibility to submit a final high school transcript prior to admission to an Associate Degree or Diploma program. Students currently attending, or previously graduated from, a participating high school may request electronic transcripts on www.cfnc.org to be sent to Sampson Community College. Electronic requests may be made (1) upon submission of an online admissions application, or (2) directly from within the Application Hub. This service is free of charge to students. Homeschool Graduates: Applicants must submit a copy of the home school’s approved registration from the state in which they are registered and an official transcript including the graduation date. Official transcripts must be issued by the chief administrator of the home school and show the school’s name and address. High School Equivalency (HSE) Diploma: Applicants who have successfully completed the High School Equivalency (HSE) program should request for their transcripts to be sent to the SCC Admissions Office. Students can request an official copy of their scores by visiting the following website: Diploma Sender. Please select to order Transcript, instead of Diploma. Non-U.S. Schools: Official transcripts from non-US schools must be translated and evaluated by any member agency associated with the National Associated of Credential Evaluation Services (NACES). For high school transcripts, request a general evaluation showing equivalency to a US high school. If you are seeking transfer credit from a non-US institution, request a course-by-course evaluation of your college/university transcript. Please visit www.naces.org for more information. The College requires all diploma and degree seeking students to complete a placement test. Test results are used to determine students’ readiness for college-level courses. There is no charge for taking the placement test. Students who meet the acceptable criteria for a waiver may be exempt from taking the placement test. Students seeking a certificate do not need placement testing. Students who qualify for a placement test waiver in math or English, but not both, will need to complete the ACCUPLACER for the skill area not exempted. Students must present all documentation when requesting a waiver. New Students who have not completed the North Carolina Diagnostic Assessment and Placement (NCDAP) test or any other NC Community College System approved entry assessment (ASSET, ACCUPLACER, COMPASS) within the past five years must contact the Admissions Office (910) 592-8084 to schedule a test date. Once a new student has been admitted, they must complete a #BeAViking Enrollment session prior to the start date of their first semester. #BeAViking provides beneficial information about the services and opportunities offered at SCC. Students will also receive guidance in completing the enrollment checklist, including how to register for classes. Once new students have completed New Student Orientation (NSO), they can begin registering and paying for classes.  Sampson Community College uses an online system called WebAdvisor that can be used to view course descriptions, view availability of sections for a particular course, and ultimately register and pay for classes.